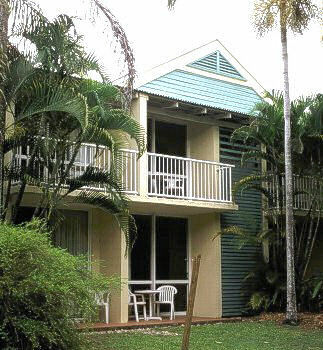 Home Hotels New South Wales Mercure Sydney Nautilus Resort Queensland Binna Burra Lodge Kondari Resort Lady Elliot Rydges Capricorn Daydream Island Castaways Rydges Reef Resort Palm Royale Red Centre The Lost Camel Kings Canyon Resort Red Centre resort Glen Helen Homestead Territory Inn Tasmania The Lodge on Elisabeth Top End El Dorado Motor Inn Mercure Inn Katherine Gagudju Lodge Cooinda Kakadu resort Frontier Darwin Victoria Bothfeet Lodge Batmans Hill The Reef Resort with ferry connecion to the Outer Great Barrier Reef tryed to provide an own character and a bit of nature within the hotel fences along with the standard features of a good hotel. 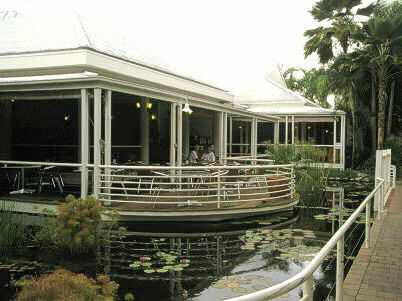 So some of the restaurants are open to a little pond and one may find frogs in the decoration and birds feeding their kids next table. 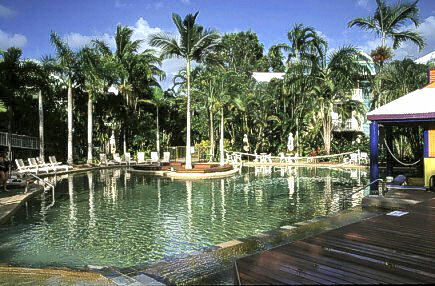 The hotel was recently refurbished and renamed and now is available as "Rydges Sabaya Resort Port Douglas".